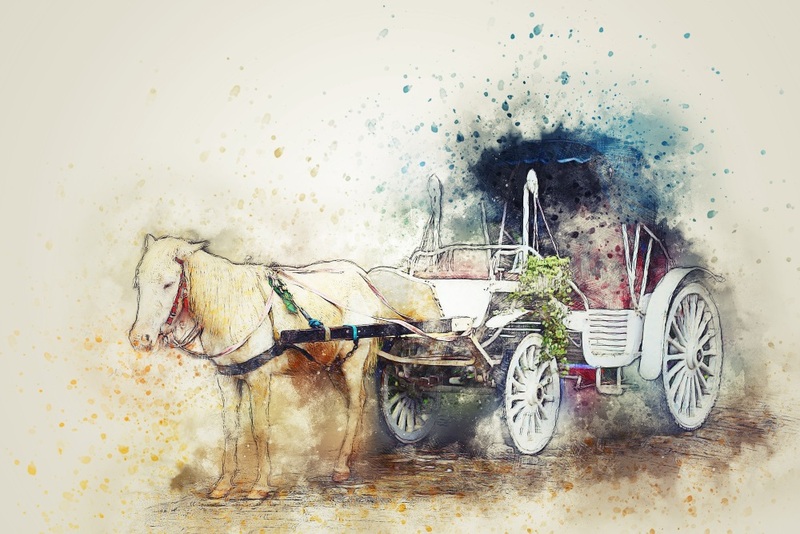 A kalesa (calesa in Spanish) is a horse-drawn carriage which used to be one of the main modes of transportation in the Philippines during the Spanish colonial period. Introduced in the 18th century, the kalesas are used mainly by the illustrados, high-ranking officials and noblemen; they are the only ones who can afford to ride the carriages back then. The kalesa is made of a wooden cart with a roof, usually made of steel. There are two round wheels, one on each side. Two rows of seats can accommodate four passengers. Present-day kalesas seat only two persons. The driver seats on the front of the cart, near the horse. A bucket made of steel or plastic is positioned near the rump of the horse to catch his excrement. At present, kalesas are rare in the city. The streets of Manila are already congested with jeepneys, cars and buses, which makes them dangerous for the horses. Those who want to see or ride kalesas will have to go to Binondo and Intramuros, where a lot of them are still roaming around and taking passengers. For those who are planning to tour around Intramuros, riding a kalesa is a must. The experience of going around the historical walled city is not complete without boarding one of the carriages. It is also advisable because Intramuros is quite a large area to travel by foot. For an average fee of PHP250, a kalesa will take you around the area, which will usually finish at the Manila Cathedral. You will get to see sights such as the San Agustin Church, the museum and Fort Santiago. Kalesas are still common in some provincial areas, such as Cagayan, Cebu and Tuguegarao City.